Home Indian Rail indian railway indian railways pnr status IRCTC App irctc seat availability rail info Railways app Indian Railways Turns 164! 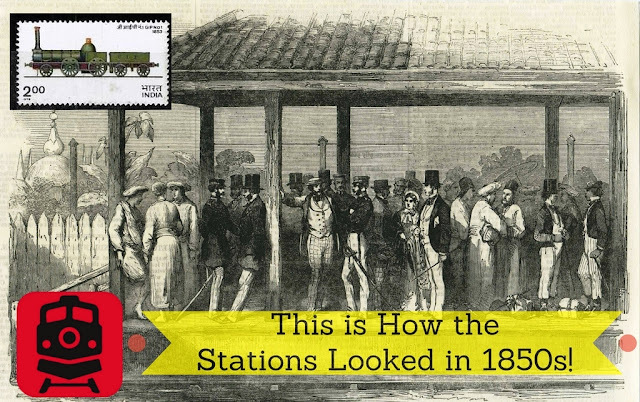 On April 16, 1853 at 3:35 pm, the first passenger train of the Great Indian Peninsula Railway left Boree Bunder station in Bombay (present-day Mumbai) for Tannah (present day Thane). The passenger train took fifty-seven minutes to reach Tannah or Thane. The train traveled 34 km with the aid of three locomotives: Sahib, Sindh, and Sultan. A total of 400 invited guests in 14 carriages enjoyed the historic ride. This journey set a milestone in passenger train service on Indian soil. The governor, Lord John Elphinstone flagged off the train at 3:30 pm. As a Director, Shankarsheth participated in the very first commercial train journey in India between Bombay and Thane. Not many know but in November 1852, a trial run also took place but it was done with a shunting locomotive instead of a rail engine. The main purpose of the Railway was to increase the export of cotton, silk, sugar, and spices from Bombay by connecting it with the interiors of the Indian peninsular. 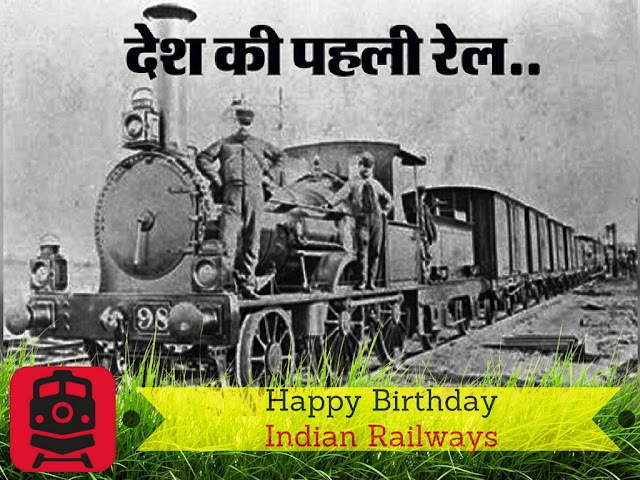 As a result, it is believed that the railways were first introduced to India on April 16th, 1853. The Bori Bunder to Thane line is customarily seen as the birth of what now is the world’s 4th largest railway network, but the plan for the first rail system was drawn in 1832. The laying of an experimental track began in 1836 near Chintadripet, in Madras (now Chennai) but the first train was not run on this track. When the experiment proved successful, a 5.6 km rail track was laid between Red Hills and St. Thomas Mount in Chennai. A further extension of the Railways led to the opening of the Howrah-Allahabad-Mumbai line which was officially opened on 7 March 1870. The few hundred passengers in the 1850s have now grown to six lakh plus commuters a day, and the station that began with a single platform had 11 platforms today, with escalators for platforms 3, 4, 5 and 6. The Thane station is one of India’s busiest stations in India, according to a Mumbai Rail Vikas Corporation (MRVC) survey. 1,100 local trains and 55 outstation trains are handled by the station, which has 11 platforms and 24 ticket windows. Approx. Rs 40 lakh is the daily revenue collected at Thane station. And Indian passengers only took interest after 1947 when India got freedom and started to develop the railways in a more judicious manner.